Harsh winds, temperatures below zero, dry air from radiators and air condition – winter is hard on our skin. As most of us will be able tell by their chapped lips, red noses and cracked hands, our skin needs a little extra love these days. 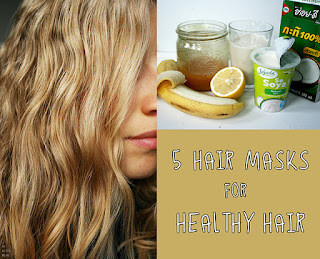 Now, while you could perfectly use any of my recipes for DIY Hair Masks on your face as well (except for the yeast mask perhaps), I have a bunch of new "recipes" that are specifically beneficial for your skin. Hydrating, detoxifying, rejuvenating, exfoliating.... there's something for everyone! And all of these masks use three or less nutritious ingredients and are easy on the wallet. 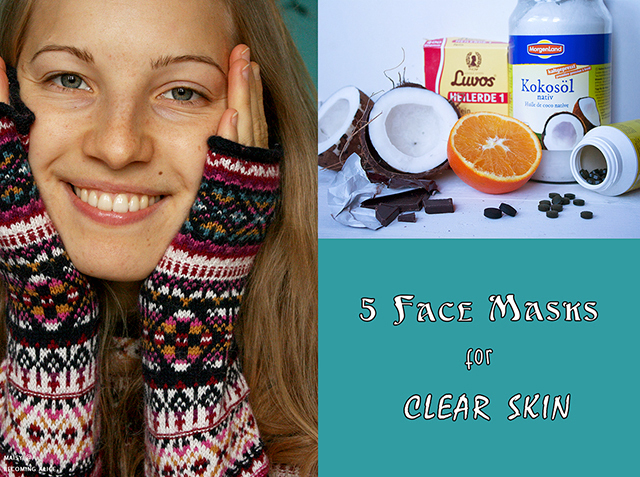 Here are my favourite 5 homemade natural face masks to treat you skin! Cacao effectively stimulates and triggers circulation which assists in nutrient delivery, it supports the skin's natural healing ability and increases elasticity. Coconut oil maintains hydration in the skin and helps to reduce bacteria associated with acne, infections, and other skin conditions. Mix the cacao powder and organic oil together in a small bowl. This is basically homemade chocolate! Add a bit of maple syrup, glaze your brownies with it and you're good to go ;) Apply to your skin using a cosmetic brush or a cotton pad, and leave on for 15-20 minutes. Remove with a damp wash cloth. If you don't have coconut oil or any of the like, and if you want a less runny mask, sub the oil for raw honey. And if you want a real "dessert" for your skin, and add 2 teaspoons of ground cinnamon to the mixture. Doesn't only smell (and taste) amazing, but is also great for your skin due to the anti-inflammatory and anti-bacterial properties of honey and cinnamon. Green tea is rich in antioxidants, it reduces puffy eyes and under eye circles, and acts as a natural UV protector. Packed with minerals, it nourishes skin and fights the signs of ageing also. The granulated sugar will exfoliate your skin, while the lemon juice will boost collagen development and help fade blemishes and scars. Brew a cup of green tea, using twice as much as you would normally use (2 bags in 1 cup). I'm using organic Jasmine Green Tea here which gives an extra amazing smell! Let the bags soak for a good hour, making sure the liquid is cool. Remove the bags and combine 2 tablespoons of the cooled tea with the remaining ingredients. Since I used loose tea, I also put in the tea leaves for this. Apply on your skin using circular motions, and let it sit for 15 minutes. Rinse with cold water afterwards. Don't throw away the rest of the cold green tea! As it is quite strong, I wouldn't recommend drinking it (unless you don't mind the bitter taste), but it makes for a great facial rinse. Just go to a sink and pour some tea from the mug into your hand. Splash it all over your face repeatedly until there's no more tea. Then rinse your face with cool water. 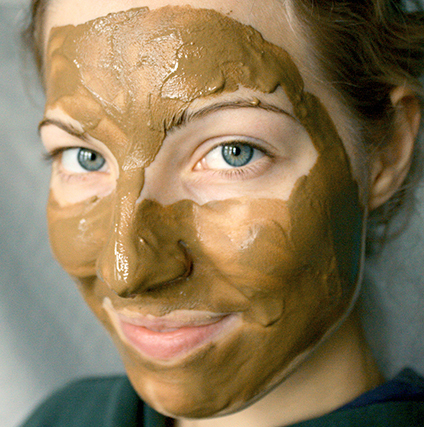 Bentonite clay helps to absorb impurities, toxins, heavy metals and has a natural calming effect on the skin. It also supplies the body with vital minerals and trace elements. Mix the bentonite clay with the juice of an orange using a non-metallic spoon and mix to form a thick paste (add a bit of water if its too dry). Immediately apply to the skin in a circular motion, avoiding the eyes. Leave the mask on 15-20 minutes or until it has hardened. Once it starts to harden, you will see the clay change in colour and you will also feel a "pulling" sensation, it can sometimes even feel a little itchy – this is completely normal! It almost feels like the mask is pulling all the oils and impurities right out of the pores! Apply a mild all-natural moisturizer (such as coconut oil or jojoba oil) to re-hydrate your skin. 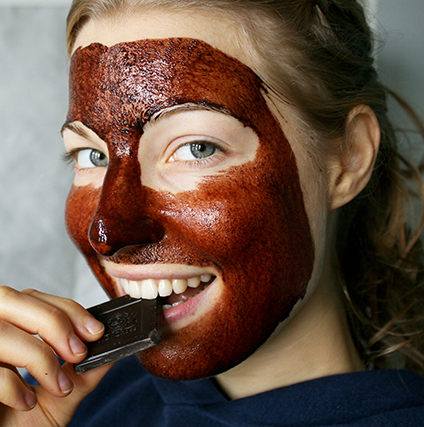 TIP: To make this mask less desiccative, add 1 tsp of raw organic honey. 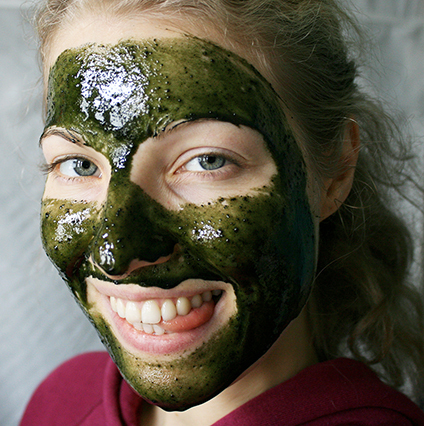 Spirulina is one of the richest sources of antioxidants and helps rejuvenate and repair damaged skin. 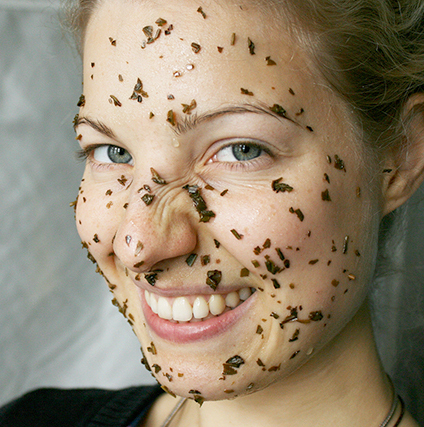 Raw honey is naturally antibacterial and is great for skin healing. Used regularly, this mask will make your skin look and feel younger with its smoothness, softness, and glow. In a small bowl, combine all ingredients to form a paste. Apply to your face with either clean fingertips or a soft facial brush. Leave for 10 minutes. Rinse off, pat skin dry and enjoy your smooth skin! Activated charcoal pulls and clears the toxins from our skin. In addition, Bentonite clay also absorbs excess sebum in the pores and pulls hydrogen from cells, allowing room for oxygen. This face mask is great for acne prone skin. Using a plastic or wooden spoon (not metal! ), mix all ingredients in a small bowl. Apply the mask evenly avoiding the delicate skin around your eyes and lips, and let sit until dry, about 7-10 minutes. As the mask dries, your face will start to feel tight. After the mask has dried, wash it off and pat your face gently with a clean towel. Follow up with a toner and moisturizer. If you use this face mask regularly, the size of your pores will be reduced, and you will be left with your skin feeling vital and fresh. *With all of these face masks, make sure you're not allergic to any of the ingredients by testing the mask on a tiny spot first before putting it on! - Always cleanse before applying any of the masks above to allow better penetration of the skin by the ingredient. - Keep in mind that these natural masks may leave a light tinge on your skin, so have some more cleanser ready to use before applying your favourite moisturizer.